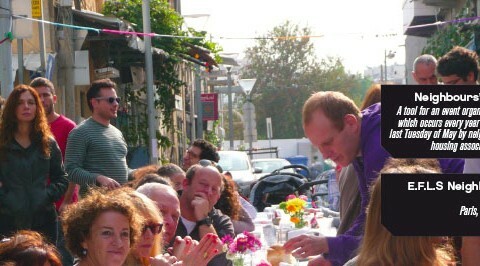 Without cars, a street happens to be a great place for community gathering. 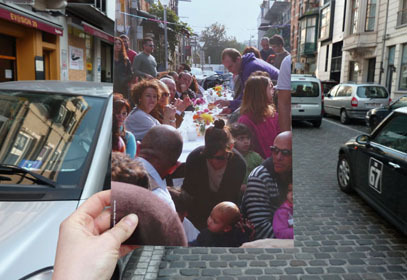 Pictured by Claire, Brussels – Rue Francart, 16th March 2012. This is the complete presentation of NEIGHBOURS’ DAY, a tool for an event organization which occurs every year on the last Tuesday of May by neighbors, housing associations.